Comments Off on College Paintball THIS WEEKEND! Who is ready for some college paintball this weekend? We have 33 teams from 19 different colleges battling this weekend for first place – and bragging rights! Follow along at https://appascores.com to see the event schedules, and to see how YOUR team is doing! 2016 Nationals Update – Hotels, ID Cards, Deadlines, and More! Comments Off on 2016 Nationals Update – Hotels, ID Cards, Deadlines, and More! First Entry Deadline is Today- Friday, March 25! The first entry fee deadline for the 2016 National Championships is 11:59 PM today, March 25, 2016. Sign your team up and pay now to save! Join over 50 teams to compete for the National Championship! New! Personalized ID Cards for All Players! Upload your Photo! This year, each player will receive a personalized ID card with your name, your school’s name, and logos! Accordingly, all players are REQUIRED to submit a profile photo for approval ahead of the event. Ensure that each player on your team follows the directions listed on the Nationals website: http://ncpapaintball.com/nationals/pricing. As in past years, Class AA teams earn a $100 entry waiver by having their team and player profiles *completely* filled out, plus an additional waiver for having matching team jerseys meeting NCPA jersey requirements and another for having an article about the team or league published in your school newspaper. Class AA Finals on the Webcast! You’ve asked for it, and we’re finally able to deliver – Class AA will have their Finals matches (championship and consolation) shown LIVE on our FREE webcast! With limited exceptions, all students must be full-time students at the same school at the time of the tournament to be eligible to compete. A player who is not a full time student at the time of the tournament who wishes to compete and meets one of the limited exception requirements MUST RECEIVE ADVANCE WRITTEN APPROVAL from the NCPA prior to competing. The deadline for applying for such an eligibility waiver is April 4. TEAMS COMPETING WITH INELIGIBLE PLAYERS WILL BE DISQUALIFIED AND MAY FACE FURTHER SANCTIONS FROM THE LEAGUE AND/OR YOUR SCHOOL. If you have any question regarding player eligibility, or if you need to apply for an eligibility waiver, please visit our Player Eligibility Information Page. For Nationals, we will be using the 2016 NXL “W” bunker kit with the NXL Dallas Open layout which will be released to the public on Wednesday, April 13. Don’t miss out on any of the action this year – Sign up for the NCPA National Championships now! Are you a photographer / videographer planning on attending the 2016 National Championships? We’d love to have you there! Any interested parties may register for a press pass on the National Championships website: http://ncpapaintball.com/nationals/media. Midwest North #4- Siege Paintball, Mukwonago, WI – April 2 – Sign Up Now! Northeast #4- Matts Outback, Coventry, CT – April 2 – Sign Up Now! NCPA College National Championships- Kissimmee, FL – April 15-17 – Sign Up Now! The 2016 NCPA National Championships are coming to a NEW venue, the Austin-Tindall Regional Park, just 10 minutes directly south of the Orlando International Airport, in conjunction with the co-ed College D1 Ultimate Frisbee Championships. As we get closer to the event, details will be updated weekly. $69 + $10 resort fee + 13% tax per night. 2016 National Championships Update – Spectacular New Venue in Kissimmee, FL! Comments Off on 2016 National Championships Update – Spectacular New Venue in Kissimmee, FL! 2016 NCPA National Championships Update – Spectacular New Venue in Kissimmee, FL! The event will be held on April 15-17, 2016! Mark your calendars now! Mid-South #3- Nitro Paintball, Canton, GA – February 27 – Sign Up Now! 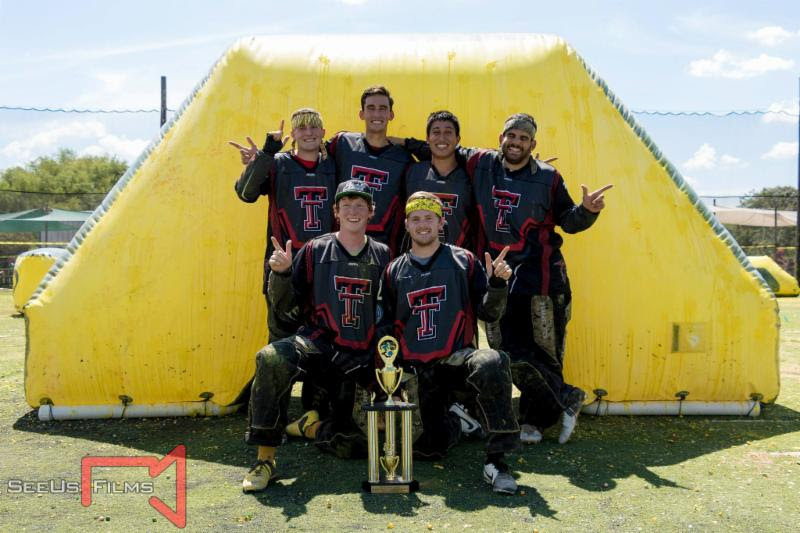 South Central #4- Fun on the Run Paintball, Fort Worth, TX – March 26 – Sign Up Now! 2016 NCPA Season Has Begun! Comments Off on 2016 NCPA Season Has Begun! Midwest North #1 – Vintage Paintball, September 27 – Sign Up Now! Mid-South #1 – Liberty University Paintball, October 3 – Sign Up Now! Northeast #1 – Top Gun Paintball, October 3 – Sign Up Now! Great Lakes #1 – Paintball Plex, October 3 – Sign Up Now! Collegiate World Cup – October 17/18 – Sign Up Now! South Central #2 – Legends Paintball, October 24 – Sign Up Now! Northeast #2 – Lainway Sports, October 24 – Sign Up Now! Play College World Cup! New LOW Entry Fee! NCPA will once again be offering a Class A, full format event at World Cup onOctober 17-18! We’ve also reduced the entry fee for this season – only $1350! Play Collegiate World Cup – October 17/18 – Sign Up Now! SCCC Season Kickoff – Congrats to our Winners! 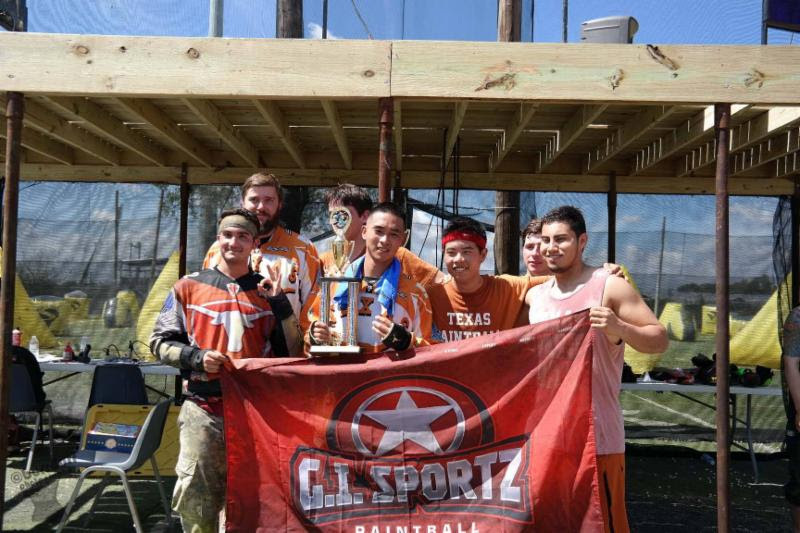 The NCPA kicked off the season last weekend with the first Class AA SCCC event held at Outlaw Paintball in Austin Texas. 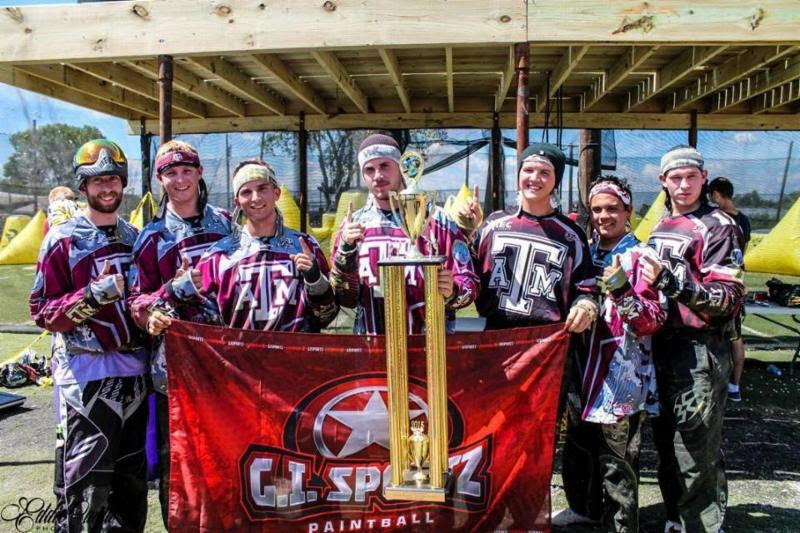 We would like to congratulate Texas A&M Aggies – Maroon for taking the first 1st place win of the season! Going to College? Meet the Teams! Are you in high school and are interested in college paintball? Head out to one of our NCPA events and talk to some of the teams! They can provide valuable information on playing in the NCPA during college. Also, be sure to email us if you have a high school team interested in having a high school event near you! Are you passionate about college paintball and motivated to work within the sports or paintball industry? Are you interested in combining your knowledge of and interest in paintball with your graphics and video editing skills? Are you a current college student looking for valuable experience to help you continue your education? If you answered YES to these questions, you would be a perfect candidate for our Graphic Artist & Video Editor Internship! Please click below to read more, or click here to download the job description..
2015-2016 Board of Directors Announced! The board seat for the North region is vacant, as there were no individuals who ran for that position. As we approach the 2015-2016 season, please feel free to contact both your region’s board member, as well as the NCPA, if you have any questions or input regarding this season! Each member club has been contacted with a short survey requesting your input for the upcoming season – if your team has not received this correspondence, please contact Amanda Gruhlke, team liaison, at ncpa@college-paintball.com to ensure your club contact information is up to date. The 2015 NCPA College Paintball National Championship presented by Empire and DYE re-airs Saturday, June 6th at 1 PM Eastern on CBS Sports Network! First-time Class A competitors Texas A&M Aggies face off against homestate Florida Atlantic University Owls for the title of National Champion, with expert commentary by paintball veterans Matty Marshall and Todd Martinez with sideline reporting from PaintballAccess.com’s Lauren Kelley. Don’t miss your chance to watch paintball on a full HD big screen! Swing by your favorite local sports bar for lunch or set your DVR and watch with friends! 2015 National Championships Videos – Watch Now on YouTube! Comments Off on 2015 National Championships Videos – Watch Now on YouTube! The first three Prelim Matches from the 2015 NCPA Nationals are now available to watch on YouTube! Check out these awesome match ups! Don’t forget to subscribe to our channel to catch all the Nationals action. Stay tuned as we release more videos from this year’s National Championship! We have cobbled together a backup backup solution to our webcast technical difficulties, and the webcast is now live. We are also uploading matches from earlier in the day to YouTube. The current solution is not ideal and you may experience slow frame rates but we are working on a better solution for tomorrow. We appreciate everyone’s patience. Due to unforeseen technical issues, we will be unable to live stream the webcast on Friday, April 17th. We will, as quickly as possible, be uploading the matches and making them available on YouTube. We appreciate your patience and understanding while we work to resolve our technical issues.